Ronnie, SM7DKF will be active from Saint Lucia Island 7- 15 December 2014 as J68/SM7DKF. He will operate on 20- 10m CW. Climate: St. Lucia's temperature is approximately 65-85 degrees Fahrenheit in period from December to May, and approximately 75-95 degrees June to November. Currency: Eastern Caribbean Dollar. For $1 you will fet EC $2.65. You can pay with American dollars on majority of places, and you can also easily exchange American dollars for local currency in hotels and on the airport. Religion: Majority of locals (about 80%) are Catholic. Other religions represented on the island include Anglican, Baptist, Methodist, Church of the Nazarene, Seventh Day Adventists and Christian Science. Credit Cards: International credit cards are widely accepted around the island shops, restaurants and in hotels. Departure Tax: When you leave off the island, you have to pay the departure tax that is around $25. 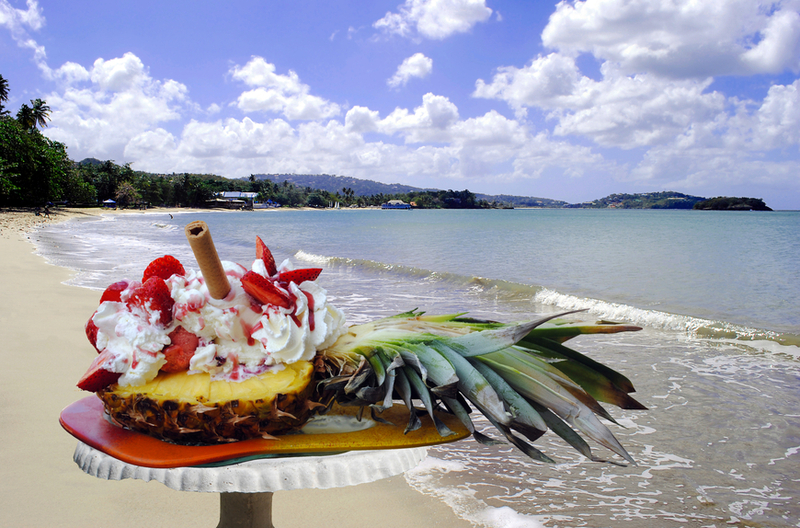 Language: St. Lucia's official language is English, but locals also speak Patois, based on French language. Tipping: Tip is usually automatically added to your bill in an amount of 10-15% of it. If you are in need of classic tropical holidays, then you will travel to Saint Lucia, to live out your Carribean dream vacation. 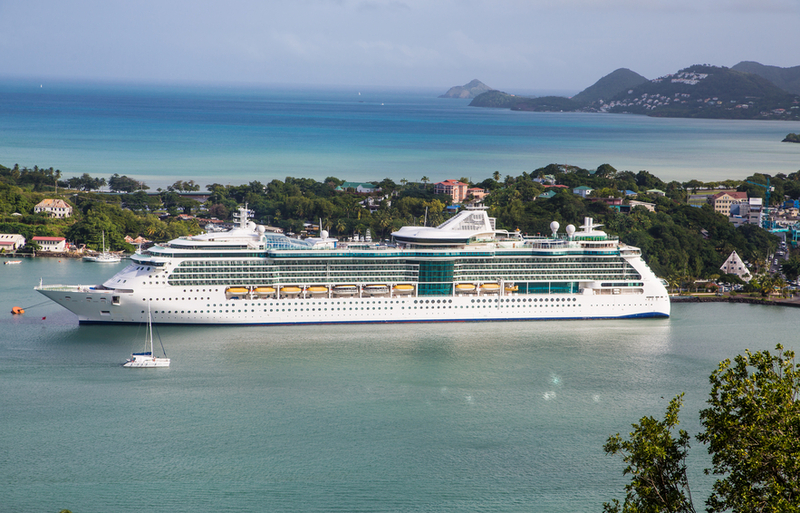 Saint Lucia is still not target of major cruising tours, nor place of mass tourism, because it located a it out of the major classic travel routes. It is part of the Windward Islands in the Lesser Antilles, settled half way toward the Eastern Caribbean chain, located among the Martinique and St. Vincent islands, and north of Barbados. St. Lucia is small island, it is 14 miles wide and 27 miles long. It's east shore goes onto Atlantic Ocean and it's west shore onto Caribbean Sea. Saint Lucia is an island where you can truly enjoy in untouched natural beauties. It has majestic twin coastal peaks, called the Pitons, rising 2000 feet up from the sea, where amazing rain forest hides beautiful flowers of orchids, huge ferns and paradise flourish birds. Within lush rain forest you can get a glimpse on endangered bird species where you can't see anywhere else on the world-such as unique St. Lucia parrot. Quite paradise outlook of rainforest is parted only with fresh orchards and fields of coconut, banana, papaya and mango trees. People live on this beautiful island for long time, much longer than colonial era, and you can see historic traces of this old culture in numerous small picturesque villages, old fortresses and markets that sell souvenirs that resemble local artifacts. When you come to Saint Lucia, you can take part in many activities interesting to tourists: diving, snorkeling, hiking, looking at birds. Next to hotels, you can play tennis and golf, or go on organized sailing tour. Make sure to visit Saint Lucia's Soufriere volcano, in which you can literary drive into volcanic crater. First settlers of Saint Lucia were Indians who came to island around 200 A.D., although by 800 A.D. they were emerged by the Caribs. It is not very clear who of Europeans first discovered Saint Lucia. Some say that Columbus came first to Saint Lucia in 1502, but recently it was pointed out that it is far possible that Juan de la Cosa, was the first to set foot onto island in 1504. First European settlement was set in 1550s by the well known Francois le Clerc, a.k.a. Jambe de Bois, or Wooden Leg, who created little base on Pigeon Island, from where he attacked Spanish galleons and rob them of their treasures. Dutch arrived at the beginning of 17th century 1600 starting and developing their local base at Vieux Fort. First European settlers by the middle 18th century were French, who erected 12 settlements and started cultivating land with many sugar plantations. Englishmen were very interesed in the island, and they finally managed to take it of French in 1814. Island remained part of the British kingdom until 1979. Although Brits were the last rulers and for such a long period, French influence is still evident in Creole dialect of locals. St. Lucia's culture is mixture of numerous influences that have mixed together over centuries into colorful, vibrant culture that island has today. 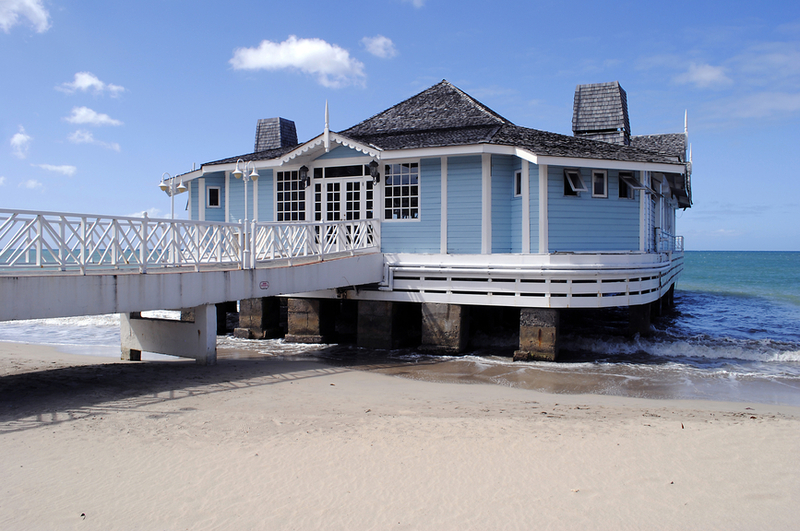 When you arrive onto the island, don't be surprised when side by side you see Indian restaurant in British part of the island, right next to the neighboring Creole patois in French area. One of the most evident proofs of island's rich culture mixture is cuisine Locals produce lots of fresh fruits (banana, mango, papaya, pineappels, passion fruit, guava, coconuts, soursop). Thanks to this natural richness of fresh food, combined with fresh from the sea fish and seafood, in local restaurants you can enjoy in heavenly tasteful currie, stews, as well as Creole-style dishes. Make sure to try out national dish, Callaloo soup that is a soup made of green vegetables similar to spinach. Saint Lucia is known for its Nobel winner inhabitants: Sir W. Arthur Lewis, who in 1979 won the Nobel Prize for Economics, as well as poet Derek Walcott, who won theNobel Prize for Literature in 1992. Camping: When you visit Saint Lucia, you can get to know its natural, untouched beauties by camping off of the coast, within the lush greenery of rainforest. This can be organized by the Saint Lucia National Trust, the Saint Lucia Naturalist Society or the Forestry Division. While in the wild, you can go hiking and bird watching. If you are lucky, maybe you will get to see indigenous Saint Lucia parrots. Scuba diving: Underwater world around Saint Lucia is amazingly rich in fish and corrals and it is a real paradise for scuba divers. Tourists can't say that they have completely enjoyed their time on Saint Lucia if they didn't take the change and went for scuba diving!